All Saints Episcopal Church Garden Tour 2019 | Through the beauty of a garden …..….. A gift to the community. Through the beauty of a garden …..….. A gift to the community. On Saturday, May 18, 2019, from 10 a.m. to 4 p.m., All Saints Episcopal Church on Hilton Head Island, S.C., will present its 32nd Annual Garden Tour. Seven beautiful gardens have been selected from the following communities: Spanish Wells, Hilton Head Plantation, Windmill Harbor, Waddell Mariculture Center, Belfair, and Bluffton. Tickets are available to purchase online now through May 17 at 11:00 am. Tickets purchased online must be picked up at All Saints Episcopal Church when you present your receipt; or on the morning of the tour, tickets purchased on line may be picked up at Waddell Mariculture Center provided you present your receipt and identification. As an alternative, click “Ticket Information” on the menu for this website to see where tickets may be purchased from Hilton Head and Bluffton vendors from April 22 – through May 17 at 11:00. These vendors will have the tickets when you make your purchase. All proceeds from this event are donated to local charities. The 2019 grant recipients will be BackPack Buddies of Bluffton, Backpack Buddies of Hilton Head, Jasper Backpack Buddies, Hilton Head Safe Harbour, St. Stephen’s UMC Outreach Food Pantry, and the Literacy Center. 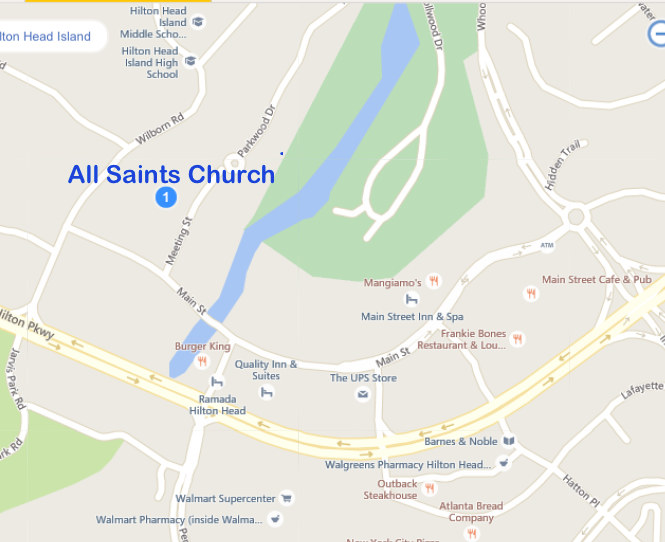 All Saints Episcopal Church is located at 3001 Meeting Street, off of Main Street. For more information, please call 843-681-8333.